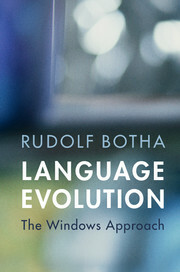 The evolution of human language is a rapidly growing area of study and research, undertaken from a wide range of perspectives. This series provides a forum for the very best contributions to this fascinating subject. Taking an interdisciplinary approach, the series as a whole encourages a constructive dialogue between those working in linguistics, biology, psychology, anthropology and cognitive science.